This article was originally published after the Supreme Court's decision to acquit Aasia Bibi in November 2018. The Supreme Court on Wednesday issued its much-anticipated judgement in the 'Aasia Bibi v. The State, etc' case, reversing earlier judgments handed down by the Lahore High Court as well as a trial court and thereby overturning the conviction of Aasia Bibi in the blasphemy case against her. The three-judge bench subsequently ordered the 50-something mother-of-four's immediate release from jail, where she had been languishing for 9-odd years. The Supreme Court's judgement — a seismic event in the country's history, judicial or otherwise — heavily references Islamic teachings and tradition, but ultimately relies on an assessment of facts and evidence to support the overturning of the earlier conviction. Below are a few of the key points shared in the judgment. "There were 25-30 ladies present at the spot when the appellant allegedly passed blasphemous remarks against the Prophet Muhammad (Peace Be Upon Hum), however, none of the other ladies except Mafia Bibi (Prosecution Witness 2) and Asma Bibi (Prosecution Witness 3) reported the matter to anyone... At this stage, it is to be noted that the said ladies did not appear before the Court to support the prosecution case." "There is no denial of the fact that the FIR was registered with a delay of 5 days... it is to be noted that in absence of any plausible explanation, this Court has always considered the delay in lodging of FIR to be fatal [to the case] and castes a suspicion on the prosecution story, extending the benefit of doubt to the accused... Furthermore, FIR lodged after conducting an inquiry loses its evidentiary value." "Another important aspect of the matter is that the complainant (PW-1) in his statement admitted that the application for registration of FIR was drafted by an Advocate; however, he could not mention his name. This also cast doubt on the truthfulness of the story narrated in the FIR." She stated during cross examination that there were "more than 1,000" present in the public gathering where Aasia Bibi had allegedly 'confessed' to committing blasphemy. However, she never mentioned this fact in her initial statement. She stated during cross examination that this public gathering took place at her house. However, this was again never mentioned in her initial statement. She stated during cross examination that "many Ulema" were present at the public gathering. However, she never mentioned this in her initial statement. During cross examination, she stated that the public gathering took place in the house of her neighbour, Rana Razzaq. However, she did not mention this in her initial statement. Also notice that her own had sister testified that the gathering took place in their own house. During his examination in chief, he said that he was present in his own house when Mafia and Asma, along with Qari Muhammad Salam (PW.1 and the complainant in the case) and Mukhtar Ahmad came to inform him of the incident. He never mentioned this in his initial statement. He said in his examination that the public gathering took place at the house of Mukhtar Ahmed, which he did not mention in his initial statement. Also notice that he contradicted both Asma and Mafia regarding where the public gathering was held. He first said that Mafia, Asma and a third witness had informed him as well as other people of the village about Aasia's alleged blasphemy. However, he later said they had only informed him, Muhammad Afzal and Muhammad Mukhtar, who were present at the occasion.Notice that this contradicts Muhammad Afzal's statement, who said he was in his house when Mafia, Asma, Salam and Mukhtar came to inform him of the incident. After not mentioning anything in his initial statement, he said during his cross examination that the public gathering in which Aasia had 'confessed' was held at Mukhtar Ahmed's house. This contradicts the statements given by the two female witnesses who had different versions of where the gathering was held. "These material contradictions and inconsistent statements of the witnesses are tantamount to cast further doubts on the coherence of the evidence." "A further conflict also prevails between the other PWs and the complainant. 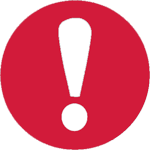 Other PWs stated that the matter was brought to the notice of complainant on the same day i.e. 14.6.2009; however, the complainant during his cross-examination stated that he was informed of the occurrence on 16.6.2009." "At the bottom of the FIR, the place of registration of the FIR has been mentioned that the FIR was registered by Mehdi Hassan, SI [Sub Inspector] at “bridge canal Chandar Cot” and the time of registration is given as '5:45 pm'... Conversely, the complainant (PW.1) in his statement has mentioned that the FIR was registered by delivering the application to the SHO concerned. However, Muhammad Rizwan, SI (PW.5) stated that the complainant presented before him the complaint upon which he formally registered the FIR." "With regard to the arrest of the accused, further contradictions exist in the statement of Muhammad Arshad, SI (PW.7); inasmuch as, he [Arshad] stated in his examination-in-chief that the accused was arrested by him with the help of two lady constables, presented to the Judicial Magistrate and sent to judicial lockup... It was then stated in the cross-examination that the accused was arrested by him on 19.6.2009 from her house situated at Village Ittanwali at about 4/5pm; however, at a subsequent point of time it was stated by him that he reached the Village Ittanwali at about 7 p.m. and remained there for one hour." The court noted that the two sisters, Asma and Mafia Bibi, who were key witnesses, had both denied that any altercation took place between them and Aasia Bibi over the fetching of water. However, it pointed out that a police officer who investigated the case and the owner of the plantation where the incident took place — both unrelated and independent witnesses — "admitted in their statements that an altercation/quarrel took place between them [Asma, Mafia and Aasia], thus the factum of quarrel is proved from the record". Noting that the prosecution had not declared the police officer as a 'hostile witness' — that is, questioned his statement that the fight took place — the sisters Asma and Mafia "could not be termed as truthful witnesses and the death sentence could not be inflicted on the testimony of such eyewitnesses". "All these contradictions are sufficient to cast a shadow of doubt on the prosecution’s version of facts, which itself entitles the appellant to the right of benefit of the doubt." "This Court has repeatedly held that evidence of extra-judicial confession is a fragile piece of evidence and utmost care and caution has to be exercised in placing reliance on such a confession... It is always looked at with doubt and suspicion due to the ease with which it may be concocted. The legal worth of the extra judicial confession is almost equal to naught, keeping in view the natural course of events, human behaviour, conduct and probabilities, in ordinary course." "In this very instant case, the appellant was brought to a gathering of potentially hundreds of people, she was alone at the time, tensions were running high, and it was an intimidating environment, the appellant may well have felt threatened and vulnerable; thus, the alleged extra-judicial confession made by the appellant, even if presumed to have been made by her before such public gathering, cannot be termed as a voluntary action and nor it can be relied upon to form the basis of a conviction, especially for capital punishment." For further details and more points raised by the Court, read the full judgment here. Why there is no mentioned of any contradictions of the event it self , is there any? Very strong points. I wish protesters can understand them but I don't think they are capable to understand this much. Really feel sorry these people being uneducated and some more being a minority are railroaded into giving a confession and sent to the gallows,Pakistan belongs to everyone may he or she be a Muslim Christian Hindu or whatever the religion,the word minority should be used ,every citizen of Pakistan should be equal under the law and civil rights. No one is on the same page. Judicial review should be conducted of the lower court and LHC. How did they came up with the verdict with such unconvincing witnesses? All the witnesses should be subject to lie detector test. They should be punished for lying to the court and making false accusations. Very well explained. Of course these can be verified from the Case record. Last point is very strong. Why all benefits of doubts are given to Asia bibi? She is believed of being intimidated in front of public gathering but why can't the two witness sisters go through same intimidation when cross examined? The accused and the accusers are coming from same socio-economic background, then why their statements are assessed differently. Asia bibi's point is considered strong and valid, whereas other's have been rejected due to contradictions. This case need to be re-investigated by an authentic JIT as this is a very fragile and critical issue. Excellent Verdict delivered by CJ according the circumstantial evidences !!! Based on these contradictions both previous judgments by the district judge and the Lahore High Court gave very dubious judgements. The SC took the right decision. It’s a very good step taken by the Supreme Court. However, justice will only be fully served when the people who abused the situation are brought to justice. A woman has lost 8 years of her life. The state has probably spent millions on the case - all because of a quarrel over fetching water. The Supreme Court should also make an example of these people to show that the blasphemy law - or any other law- cannot be twisted to serve personal purposes. So if two three people accuse someone of blasphemy in an Islamic country, then that person goes to jail for 9 years....sad world we live in. Who is responsible for her eight lost years in Jail ? The right decision, one can not be handed over a death penalty based upon such ambiguities. Apparently a good and brave judgement. She along with her family should be allowed to leave the country.I am sure any western country would grant her political asylum as She will not be safe in Pakistan because of extremists. @Sibghat Ullah khan Our People and the State, By people i mean those who are still on the streets destroying properties and terrorizing public, inciting rebellion against the state and Government is to be blamed for showing weakness towards the Terrorists roaming the streets even today. Why not this point were brought into consideration by LHC during its last verdicts? SC should clarify it from LHC as soon as possible. am surprised JI have also taken to the streets. They are supposed to be the saner ones. ..and it had to go all the way to SC to get this .. flimsy case thrown out.. and that fater nine years.. I read the full judgement of the highest court in Urdu. I am impressed with the judges knowledge and references made. People should educate those who are politicising this issue. Media should also play its positive role in enlightening people. All accused criminals have rights. If someone is not proved guilty beyond any doubts how can society punish him/ her. Very clear judgement with gaping holes in the alibi of the accusers. If case is that simple? On What bases High court gave its verdict of hanging? 9 years in solitary confinement for nothing? These two accuser should be made to compensate Asia for her lost years and suffering. While the 7 points make sense, the question arise is that LHC convicted her. Why they not considered these 7 points? they were following the same judiciary system. we are proud of our judges! Pakistan needs brave people like the judges of the Supreme Court. While these 7 points make sense. The question arise is that LHC convicted her, they belong to the same judiciary system, It will make sense to review the points considered in making that decision too. One of the best verdicts in the history of Pakistan, Good to see a new Pakistan, where law applies to all. Seems like a good decision! But also raises concern over HC's credibility. A fight or altercation among women is more of an intriguing thing. People looking for soft corners in these sentive matters among women begin to believe one when their own prejudicial interests are involved. Often injustices are done for want of proper knowlege. Court as an arbitrator decides cases on merits employing technical cross questioning and concrete evidence. The honourable SC has dispensed full justice. @Omer The so called "Protesters" are hired hands to exploit the situation at he behest of the ORGANIZED OPPOSITION MAFIA and have nothing to do with the well being of either Muslims nor our religion Islam. In fact, they are doing just the opposite to teachings of Islam by creating unnecessary trouble in the entire country. There is greed for wealth and greed for popularity. Most of religious and political leaders are addicted to at least 1 of the 2. When you are greedy, you want to obtain it even at the cost of an innocent person's life. I hope that she is compensated for her time in incarceration. Also the govt must punish the people who accused her for false blasphemy to discourage future false accuser. Asia Bibi lost 9 years of her life somebody must be held accountable for this tragedy. This is the way people should judge a case, only on merits and not hearsay. Great job. Easy solution go after the Mulla's for making false accusations. @Sibghat Ullah khan It should not end on release of victim (Asia) . People responsible for taking 9 year from her life should be put in jail for atleast 9 year for false accusation. Those looking to strengthen their vote bank simply will not accept because the judgement does not serve their purpose. 1,000 people gathered at her house? They would have gathered after the event and called for mob justice. 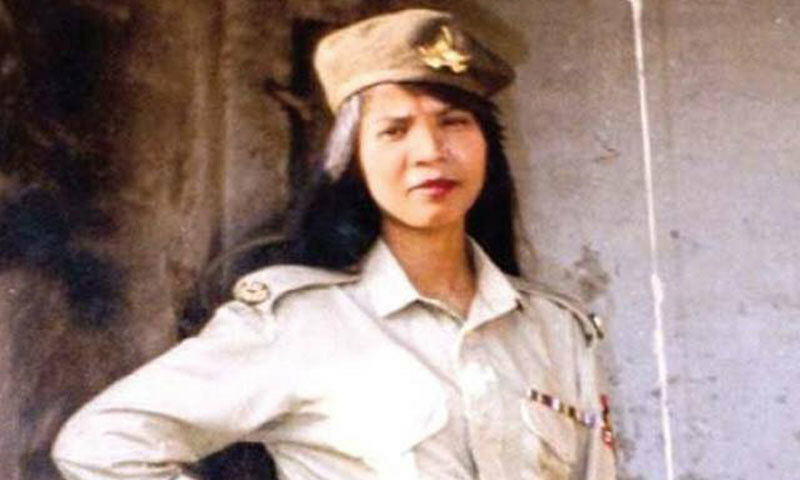 She stated during cross examination that there were "more than 1,000" present in the public gathering where Asia Bibi had allegedly 'confessed' to committing blasphemy. However, she never mentioned this fact in her initial statement. SALUTE TO CJP. WE ARE ALL PROUD AND THANK YOU SIR. Welcome to naya Pakistan,this is how we need to educate this qoom. big misson big challenges ! It's important that the she and her family are compensated, even though no amount can bring back the years nor the mental trauma and fear that she and her family will have for the rest of their lives. The accusers and those officials involved in the process need to be held accountable and punished. What is the credibility and Professional capability of our lower courts? Why did they pass the judgement of death sentence in this particular case? The LHC and Trial Court judges should made to explain themselves. The 2 accusers should also be punished as well as Aisa Bibi compensated for her lost years in jail. Protect Asia Bibi and her family who all have suffered a lot. Funny how the counter arguments are not being mentioned here, at all. If you read the 57 page verdict you'll notice that the opposition's lawyer presented a very valid counter argument for each of these points. Also ironically, Asia's lawyer was given 2.5 hours to present his argument while the opposition's was given only 25 minutes. There are a lot of other discrepancies in this case that are being swept under the rug. This is a milestone judgement of the Supreme Court and must be made a benchmark precedence for dealing with all such cases in future and a precedence for quick judgement. I failed to understand that what SC has highlighted , honorable HC and lower courts failed to find out. What does that means the judges were not good enough and capable enough to see. Those were very basic points which the honorable SC has highlighted. I believe CJ of SC should ask all those judges how they overlooked at those basic points. It puts the credibility of those courts and those judges at stake. Some one should explain those points in favour of SC judgement in detail and in easy words to public may be through all govt and private TV and radio channels and through speeches so public will not rely over fake account of Qari and his advocate and will not be misguided by all fanatic right wing religious parties. Try a common citizen registering FIR against influential or dacoits, police will not register. so this point is not an excuse for loose case. Why did it take the courts so long to come to this conclusion in the first place. Shameful that despite such contradictions she was jailed. @Rubina the accusers need to prove this incident happened. Burden of Proof is always on the accusers. Judges need to ensure that they witnesses are credible and they can believe their stories. In this case, the accuser's stories are inconsistent and therefore not credible. Asia did not need to say anything except claim that she did not do it. @Rubina This is because of the legal precept that the burden of proof lies on the accuser, not on the accused. It is a very normal legal principle that is practised in non-muslim societies as well as in the Islamic legal systems of the past. @Rubina this is the same mentality which brought Pakistan to the current situation. @Shahla Surely they feel unsafe while making judgement. A bold decision by the Supreme Court.Hopefully the sanity would prevail and the situation and the situation would not be allowed to go out of control. SC verdict is based on solid grounds. We greatly appreciate it. @kashif A: Probably the lower court judges did not had the courage (like CJP), or feared for their own life. This the only explanation for a haste judgement by the lower courts. Those who brought false charges against her need to be punished severely and this should be done as a general rule - so that people know that if they lay false charges on someone then they will be given double the punishment. I am a devote praying Muslim Pakistan living overseas. Asia Bibi is Pakistani born, Pakistani citizen. Her rights as Pakistani should be protected. She should be compensated for the terror she went through for years with death penalty hanging over her head and the people who testified with false stories must be brought to justice and punished, so people thing twice before falsely accusing innocent person. Imagin your self living with fear of death penalty in the jail for so many years on false accusations. This case should be made an example. These people and groups threatening Judges and the institutions must be brought to justice under terrorisim charges. Its time to clean out the trash. Laws should be changed, where wrongful accuser must be punshied and innocent must be protected. Proud of the Supreme Court Honorable Judges and their verdict. Now I feel proud Pakistani. Setting an example, punishing those accused falsely Asia Bibi, will be the real change (TABDELI) . Her only crime was she was Christian. Would these accusers have done the same if she was Muslim? Being Muslim does not give us license to falsely accuse innocent person and get death penalty verdict over someone. Asia suffered mentally and spent years in jail. She must be compensated and protected, while others brought to justice. Stand up for the truth and be a real Pakistani, be proud of our Supreme Court Judges. Courts decision needs to be respected as long as it was taken independently without any biases and external influences. Hopefully the Government's initiative to form a Committee and hold talks with the protest leaders should abate the tensions and bridge better understanding of the SC verdict. SC decision must stand. It is 21st century world we are in, while people of Pakistan living in the archaic world. Truth is evident in this case rather than changing stories. Pakistan belongs to all faith per creator of Pakistan, inscribed in white part of Pakistan's flag. Early life education of modern era is the only solution to end the JEHALAT engulfing most of Pakistan's narrow mindedness. Pakistan needs to move forward putting behind medieval mentality. Not good for the nation and its people. The grievous error is when you try to put an innocent to death citing questionable evidence. A historic judgment and innocent got justice. But it's not the end of horror which still haunts the masses. What about the false accusers who got a poor woman to face 9 years in jail and almost touched the gallows ? A case poorly handled by SC. The correct process should have been for SC to marked this case for retrial so witnesses could be cross checked again on live TV for all people to notice the flaws and make their opinion. By live retrial matter would have died by it self. Frankly in my opinion lady had enough punishment even IF she had committed the crime. Almost 9 year in prison is not an easy ordeal. I would strongly suggest that the judgment of the court must be respected by all quarters. Well done. I feel a proud Muslim and Pakistani. Justice done although with some delay. Islam teaches justice compassion and forgiveness. This lady has been in my prayers many a times..
@Rubina - They certainly do NOT have the same background. One belongs to a beleaguered minority and other perceived upper class. Regardless, the judges must give the benefit of the doubt to the accused who is facing death whereas the others have nothing to lose. This judgement does not question the accuser that did she utter those words or not?...and why she admit it in all other trials if she?..if she has committed the blasphemy then secondary arguments about number of people and time of lodging FIR and others does not count. I myself lodged FIR about my stolen car but did not the time really at which I was in the police station and who came first to call me that my car was stolen?.. Does that mean that my car was not stolen in the first place? Still it is not clear that Asia is innocent. Thank you Dawn. That was very helpful. .."". it is to be noted that in absence of any plausible explanation, this Court has always considered the delay in lodging of FIR to be fatal [to the case] and castes a suspicion on the prosecution story, ".When Ayesha Gulalai accused Imran Khan after 4 years ,this delay was acceptable to many.Whoever lodges the FIR first is the truth teller?
. "However, she never mentioned this fact in her initial statement. "Does this count as contradiction or just an addition to her previous statement?Probably the initial statement is called "initial " as it is not a final document. Happy for Pakistan. Happy for the person acquitted. Historic indeed. @Rubina It is the norm of courts everywhere in this World - the Accused is considered innocent until proven guilty AND the onus of proving this lies on the Complainant. I feel sorry for Asia Bibi, mother of two, for having been put through this ordeal. Thank you Judge saheban for issuing your brave decision with the appropriate justification. And thank you IK for your timely public address. This whole episode has made it clear who believes in justice for all on one side and destruction of Pakistan on the other. LHC judges should be sacked. President Trump, I as a US citizen appeal to you to welcome Asia to the United States. The Muslims of America welcome her and we will take care of her. She will be no burden on the US government. @Rubina Try and understand how a legal system works. An accused is presumed innocent until proven guilty, and guilt is proven by producing acceptable evidence under the relevant Rules of Evidence. A mere allegation is not evidence. Put yourself in Asia's shoes: how would you like to be accused of blasphemy on someone's mere allegation, and have that allegation treated as evidence? @Reader and also the lawyer who fought her case. @Rubina The benefit of doubt is there so that if someone puts a false accusation of Blasphemy on you someday, you don't get capital punishment. What do you think the JIT will do in this case? I believe that the false accuser should be given capital punishment for lying in such a sensitive matter. All lawyers at the High Court should be fired for being incompetent. @Ammar Are you in the legal profession? @Yash And who pays for that? Does the family have the funds to relocate and establish themselves in a new country? @TomTom 1000 people? She must have a really big house! From the report, it appears the judges did a creditable job. I am not opposed t death penalty but it should be done sparingly. Well elaborated. This should be aired on tv and media so the illiterate thugs and goons can never understand why she was not convicted. Problem is our trial courts are driven by expediency it seems. In cases involving mass sentiments they tend to give popular rulings KNOWING that these will be eventually overruled by the appellate Court again that is the way it seems because the Asia case, as pointed out by SC, contains very obvious gaps and omissions that cannot be expected from the highest trial court. A great deal of de-politicization of judiciary has taken place but I think more needs to be done. It would have been better to face the reaction years ago at the LHC stage and it would have saved an innocent from unnecessary incarceration. @Rubina Silly . To hang a human being on flimsy evidence is unforgivable. Besides the two sisyers lied that they did not have an ‘altercation’ with the accused but police and plantation owner both testified they did have altercation. So the two sisters are liars and cannot be trusted in their motive and statement. In Prophets time no one was hung for blasphemy. @Rubina A fundamental principle of Law is that everyone is innocent until proven guilty. @Sayeed Altaf Hussein Not the accusers but the people who most likely pushed, maybe paid them, to raise the complaint. @TomTom not too many people can have a 1000 people ‘gather at’ their house..
How terrifying it is for a citizen that anybody can accuse him or her of insulting the religion and send them to the gallows and there will be thousands who will be baying for their blood. The most frightful thing is that mere accusation without proof can get the lower court to pronounce guilty verdict. Deliberate and malicious acts, intended to outrage religious feelings or any class by insulting its religion or religious beliefs.— Whoever, with deliberate and malicious intention of outraging the religious feelings of any class of citizens of India, by words, either spoken or written, or by signs or by visible representations or otherwise, insults or attempts to insult the religion or the religious beliefs of that class, shall be punished with imprisonment of either description for a term which may extend to three years, or with fine, or with both. @Rubina In British or Western court systems (which Pakistans system is mostly based on), benefit of doubt goes to the accused, not the accuser. There are other points raised by the SC. All of them go against the accusers. This case proves that the spirit of justice is still alive in select corners of Pakistan. I am happy to know that life was saved, and an innocent person was not hanged based on heresay of Pws. This is how, people use religion to get their vested interest. On the other hand, we were blessed with cruel dictators like Zia, who introduced such laws to justify their illegal rule over people. Bhutto, in this regard, was not good as well. Though, ZA Bhutto was western-educated, liberal and somehow leftist, but it was essence of time that changed him to win the support of religious parties. In Pakistan, one cannot survive without the support from these fundamentalist religious parties. This turmoil is thanks to the seeds of religious fundamentalism sown by Zia Ul Haq. It's high time to sow the seeds of modern education, so that the reversal of Zia's suicidal policies can happen within 5-10 yrs. Modern Education is the only way to deradicalize a society. who is going to give this poor lady her 8 years of life back? I think its time to put false accusers in jail now. Pakistan Zindabad. Judges and lawyers Congratulations on the fairness and unbiased decision. Heart goes out to Asia Bibi. Asia Bibi a new beginning awaits you, be brave as you have been all these nine years. This was a biggest challenge that will make so stronger. We all should respect each other as human beings. Thank you. Stay safe and strong Pakistan. @Ammar How low you can go. People who are baying for the blood of Asia are not humans in my opinion. All Extra Judicial confessions are allowed on cases of Mohajirs & MQM but not the rest. Body of Ulmas of all sects should handle cases pertaining to Blasphemy law, only then masses will be satisfied, there is always be question marks on others not having religious background. I suggest this case should be given to the body of Ulmas to take decision in accordance with the Islamic law. @TomTom ..to think they have such huge house able to hold 1000 people's gathering?? And being so rich, they still go to fetch water ? How incredulous every word n action of the accusers..! Justice will be served fully only when such people are punished for their unforgivable views and actions that impacted not only one woman and her family but an entire system and nation ..if only this case forces a change in thinking and mentality of people, we hope...! If these false accusation are true then the case for blasphemy should be charged on two sisters Asma and Mafia... the courts verdict proves that Pakistan is on a verge to become a law prevailing country while law should be made to avoid such crucial accusations. Very difficult and problematic case, I would not like to be Judge to this case. @Hammad ... Forgive them is better because of the lesson of justice rather give them time for reconciliation. As much as I support the SC decision, I wonder why the LHC was unable to see these cliches which even a person with little legal knowledge can assess? this evil would have been nipped in the bud had there been no previous such verdict. Was LHC adamant to become a hero in the eyes of community or what? LHC should explain this because of sensitivity of the issue. And who will punish the wrongful accusers? @Rubina two sisters gave statements in the courtroom, in front of an audience which would not have been intimidating, and they definitely wouldn't have been fearing for their lives at the time of their testimony. This cannot be compared to Asia Bibi standing in the middle of a mob being asked to confess on the spot. @Faisal Yaqoob Defendant is not responsible for proving anything - the burden of proof lies with the accuser and based on above, the accusers themselves were not found credible. on what basis can the events be verified in that case? It is the fundamental principal of Islamic justice system that no inner cent person be punished if there appear doubts there looking at the points mentioned above which is part of the record, there is no way she could have been punished because of the doubts in the case. The whole case needs to be investigated again by JIT from the time of fighting which took place between Asia bibi, and two sisters over the water dispute. An FIR should also be registered against a person / people who brought Asia Bibi into the gathering to confess. This is our Pakistan not any Mulla or Molvis, and we all have to protect our minorities. I pray for the safety of my Christian compatriots. I am very happy for Asia Bibi and hope she will be reunited with her husband and children soon. @Maham Shahid : why should they be mentioned? this article is about the supreme court's decision, not about the counterarguments made by the accuser's lawyer. So which country is religiously intolerant again? @Ammar: 'weaken the case'? there was never any case. this woman's only crime was that she was a Christian. As a Muslim myself, I am excruciatingly embarrassed by the pigheaded intolerance manifested by some of my nominal coreligionists. @Sibghat Ullah khan . Exactly. The state is responsible unfortunately as the LHC judges belong to the state. However reckon Aasia Bibi is just glad that her life was spared. Losing 8 years is blessing compared to losing her life due to injustice. Its a saddening event. @Shahla Not all those who have learned are learned. Reckon there was more of interest than knowledge. @Ali Vazir : Well said Ali Bhai. Dont know how many people made their money from this case.... Its painful. Will CJP be safe after this judgement? There are a few questions on this decision: 1. She appealed in SC in Nov 2010 to review LHC decision and during this 2 more incidents occurred on the bases of this case. Why at that time LHC decision was not reconsidered? If previous two decisions are not correct, why SC didn't call them? This government is total failure. This case wasted 9 years and couple of lives only because of quarrel on water fetching. Why everyone looses his/her mind on this topic. Why can't we think/listen logically to the facts? Someone needs to teach these illiterate and extremists who are on the roads with out knowing any facts. Very interesting before reading this my mind freakins but my question is that why case was delayed for 9 years what were HC and others judiciary doing? @Rubina Because.... Asia Bibi is on the "Death row", not her accusers. Or do you NOT see this obvious point because of your Bias? This is very confusing. There should be some way to detect who is laying and who is correct. If the lower courts were wrong what was the basis of their decision? I can see all the benefit of the doubt is given to Ms. Asia bibi. As someone mentioned a lie detector could be used here and should be used on her as well as on those 2 sisters. This is something very very critical and happened to a teacher in Afghanistan where the mob killed the lady on the spot on the accusation of blasphemy which later turnout wrong. There is no bigger contradiction in the case than the contradiction between the decisions of courts itself. @Ammar It is admitted fact mud was thrown on each other's religion in hostility and anger which undeniably impair their fair state of mind. Therefore, Investigative officer should have given due importance to verbal hostilities. The presence of insanity exited among both parties and should have been taken care of at the initial stage. This officer with ulterior motives establish FIR ( bunch of lies). Investigative officers should be brought books for lost of 8 years of accused and courts. Supreme Court of Pakistan deserves congratulations. @Rubina Benefit of doubt is given to the accused. This is a basic legal principle. The government once again could not implement its writ and reached agreement with TLP on their terms.This has set a bad precedent unfortunately. @Rubina - Under any law including Sharia the burden of proof is on the accusers. An accused is innocent until proven guilty . In a gathering of 25/30 women only two accused her . Any one can accuse you of any crime and you are assumed guilty , how would that feel! @Rubina benefit of doubt is always given to the defendant; being presumed innocent until proven guilty. This is the law in most countries. Also, the contradictions between the statements of the witnesses is enough to doubt their veracity and other than that there is no proof. LHC definitely should be investigated and Trial Court too for their verdicts on these testimonies and lack of any solid proof! Asia Nino should receive compensation from government or other agencies for wrongful imprisonment. @Rubina Aasia Bibi is considered innocent until proven guilty. It's not her who has to provide a consisent testimonial, it's those who accuse her and want her to be killed. The Maulvi should be arrested and charged for lying. The accuser should be prosecuted! @MAQSOOD AHMAD A sane mind has spoken...There is Hope in Humanity.